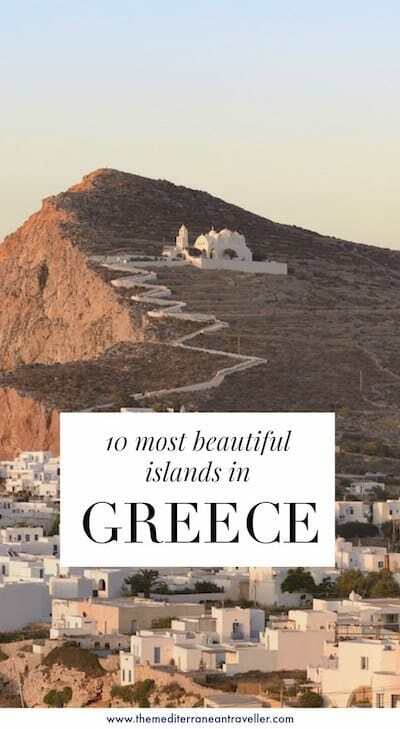 Greece has around 227 inhabited islands—and beauty has been shared between them equally. Deciding which one to visit is the tricky part. Each has a special something about it. I love the Greek Islands. And I’ll admit, it makes my heart sink a little every time I hear someone is visiting Greece but only going to Santorini and/or Mykonos. 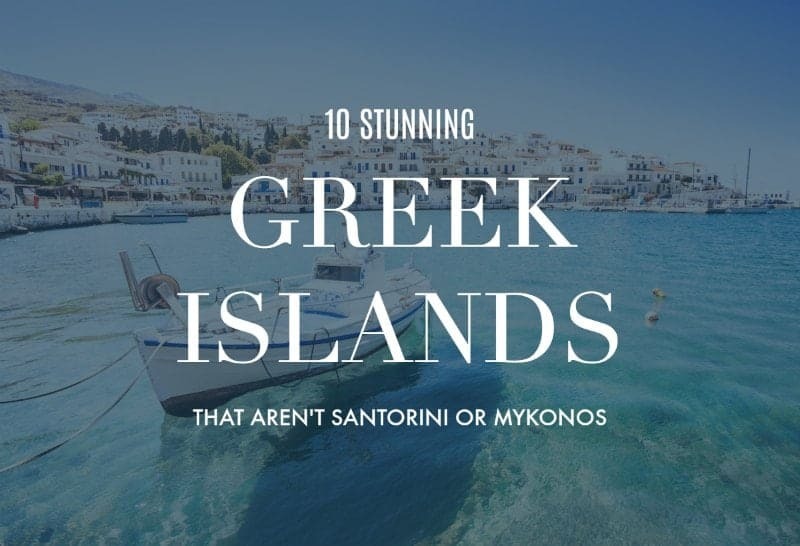 Whilst these islands are deservedly popular, they’re by no means the only stunningly beautiful Greek islands. So if you’re looking for a little extra inspiration for your summer plans, here are 10 islands which will make your heart skip a beat with their achingly lovely landscapes, jaw-dropping beaches and picturesque towns. 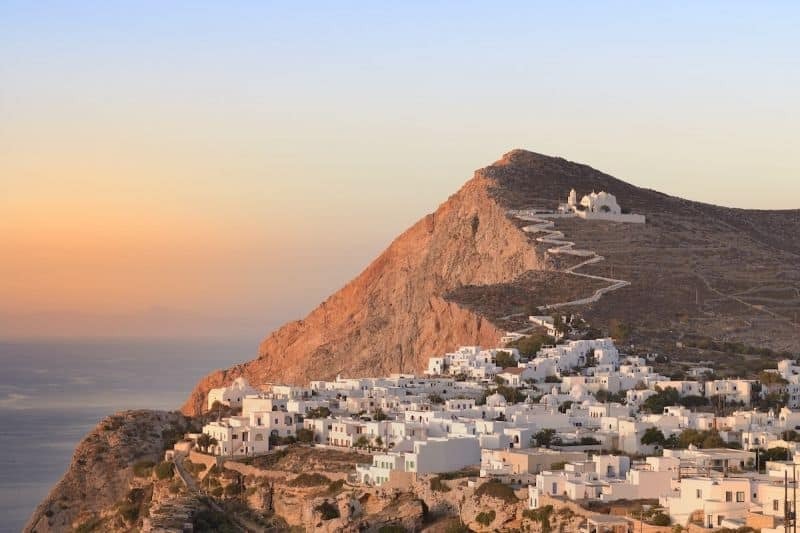 Folegandros is Greece’s best-kept secret, although the word is getting out. There’s something bewitching and romantic about this quiet island in the Cyclades. Just an hour from Santorini, Folegandros has similar stark scenery and stunning sunset. But this island has no airport which helps to keep the crowds at bay. Come here for simple pleasures, seclusion, and chic accommodation. 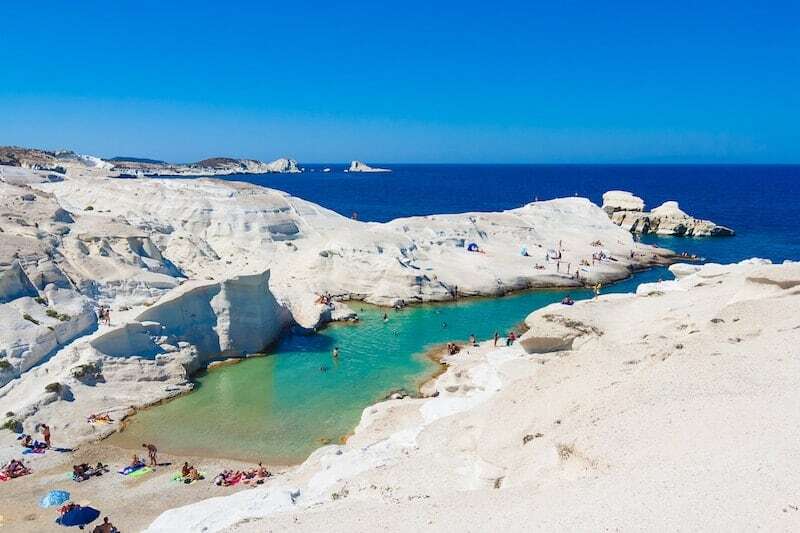 Another up-and-coming destination in the Cyclades is Milos and its lunar landscape. Formed by volcanic activity and quite unique in its appearance, Milos is one for the photographers. The beaches here look like nothing else you’ve ever seen. Natural wonders are complemented by colourful little houses by the sea known assýrmata which are used for storing fishing boats over the winter. 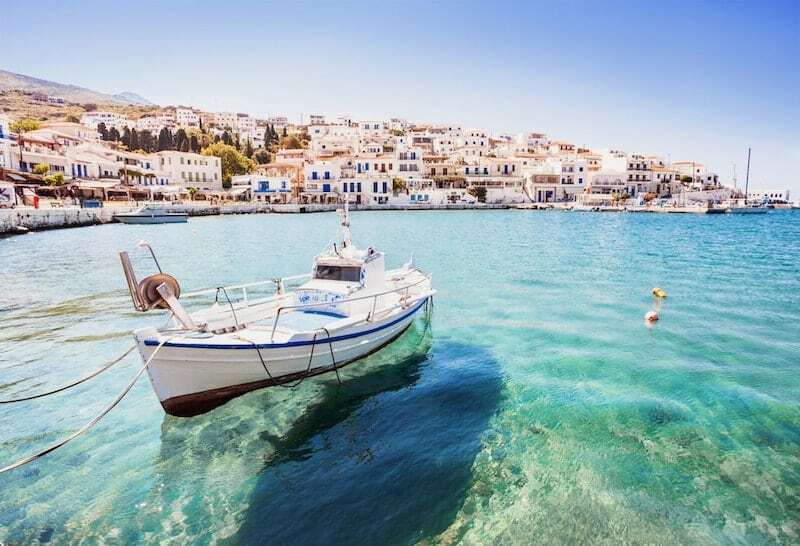 For island gorgeousness in close proximity to Athens, look no further than Hydra. 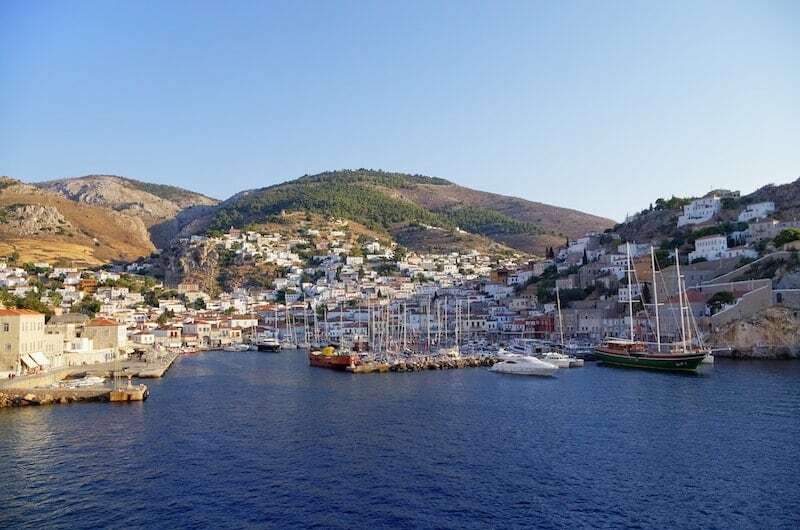 Part of the Argo-Saronic island chains, Hydra is near enough to make it within day trip distance. But as soon as you step foot on this island you’ll be won over. Vehicles are not allowed on Hydra (also spelt Ydra), making it a blissful traffic-free getaway from modern life. The harbour is one of the prettiest in Greece. Hydra is known for its bohemian associations too; the island has played host to many writers, poets, artists and filmmakers over the years. There’s not much to see or do on the rest of the island thanks to its lack of roads but the main town is a yachtie haven and comes alive with parties in the summer. Another island within striking distance of Athens, Andros has been sheltered from mass tourism by its wealthy landowners. 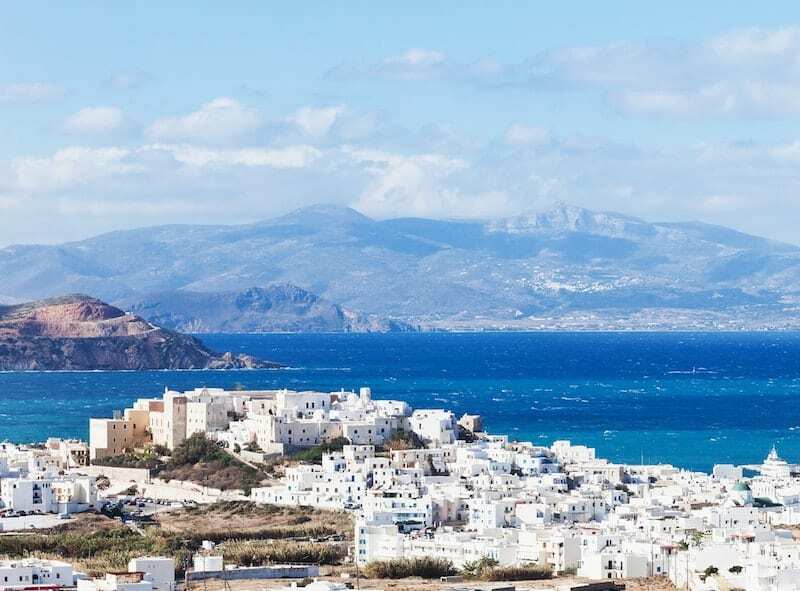 But the low-key Cycladic island is slowly making a name for itself a top destination for eco-tourism, wellness, hiking, and the arts. There’s a cross-island hiking trail has for the active, art galleries in its handsome neo-classical capital and a wealth of fantastic beaches around the island. The dark dense vegetation lends the light a special quality on Andros, as does the tinkling of the island’s many streams and creeks. Pretty Paros looks the quintessential Cycladic island with its turquoise seas, fresh beaches and gleaming white buildings made from local marble. It has some of the most picturesque coastal villages in Greece. Its reputation as ‘the new Mykonos’ is gathering pace; the narrow streets are quickly filling with boho shops, boutique hotels and chilled nightlife. Get here quick before the prices rise to match. 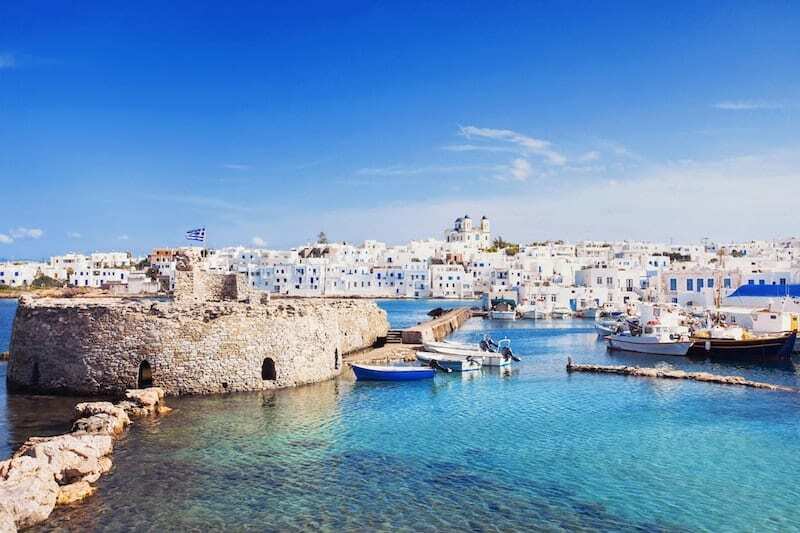 Just across the water from Paros but offering a distinctly different vibe, Naxos is a bit different from the rest of the islands in the Cyclades. Its charming capital incorporates Venetian styles and has a surprisingly good town beach. There’s much of interest inland; the views from Mount Zeus, historic mountain villages, ancient temples, verdant hikes. Dare we say it’s the best Greek island for sandy beaches? Naxos never feels overcrowded so even in high season you can find a beach to yourself. The popular Dodecanese island of Rhodes boasts one of the blockbuster sights of the Aegean in its well-preserved medieval old town. 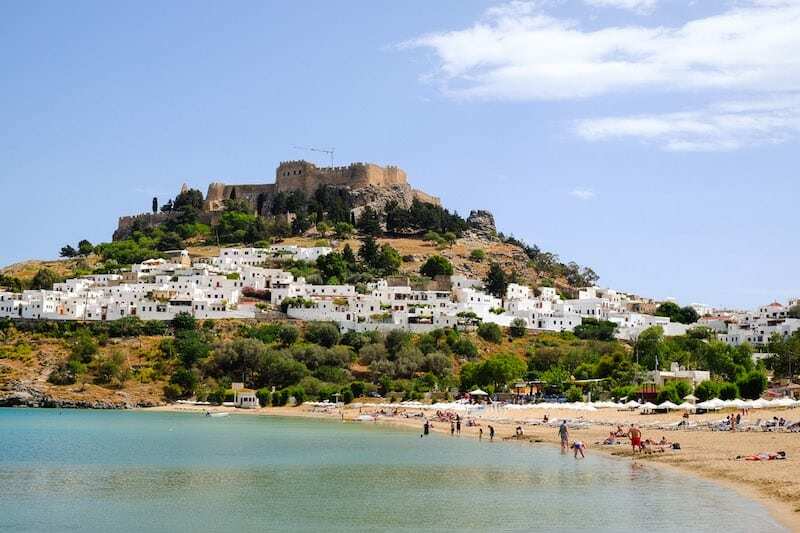 But the UNESCO World Heritage site is not the only beauty spot on the island: Lindos is surely one of the prettiest villages in all of Greece. The east coast is scattered with breathtaking beaches whilst the west side is covered in dense forest, vineyards and secret churches. Rhodes is one of the most southerly (therefore warmest) islands and so a good choice if you’re travelling in April or October when good weather is less assured. 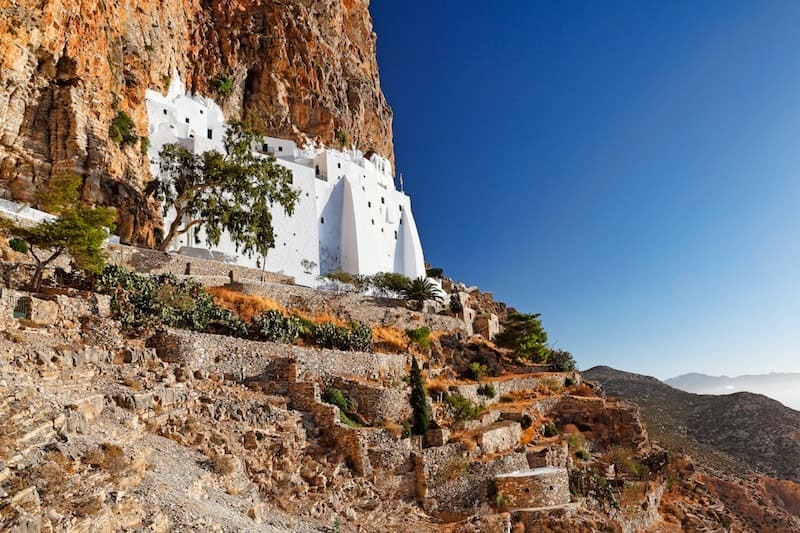 With its stark rocky scenery and typical whitewashed architecture, mysterious Amorgos has everything you expect from a Cycladic island. But as one of the most remote Greek islands, it attracts independent travellers, hippies, and free spirits. It even has a shipwreck beach to rival Zakynthos’ famous Navagio. Crete has it all: knockout ancient sites, charming harbour towns, mountain wilderness, superb beaches, and arguably the best food in Greece. 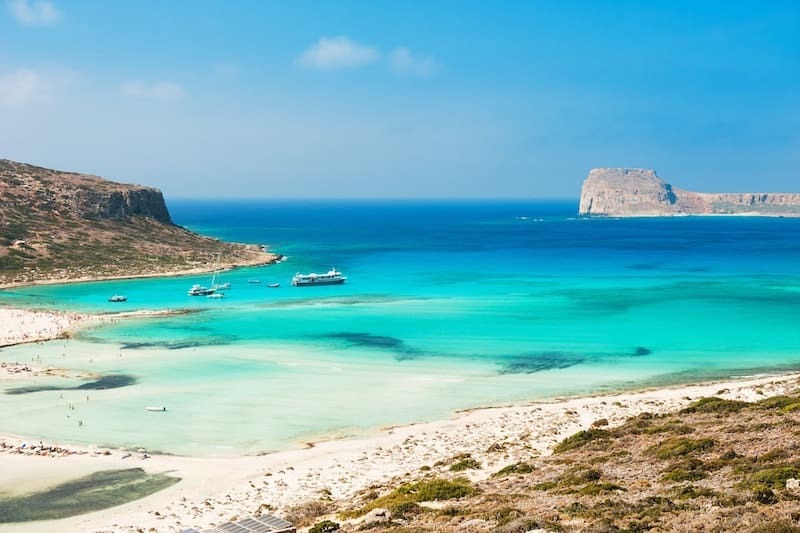 Allow yourself plenty of time though, or stick to one side of the island, as Crete the biggest island in Greece and the 5th largest in the Mediterranean. Don’t miss the beautiful Venetian old towns of Chania and Rethymnon, or hiking the Samaria Gorge. The greenest of the Greek Isles, mountainous and heavily forested Corfu (also known as Kerkyra) is closer to Albania than Greece. The promenades, ochre buildings and shuttered windows of old Corfu Town are more reminiscent of Malta or Sicily than the Cyclades. With historic influences ranging from Venetian and Byzantine to British, Corfu Town has a distinctly cosmopolitan air. 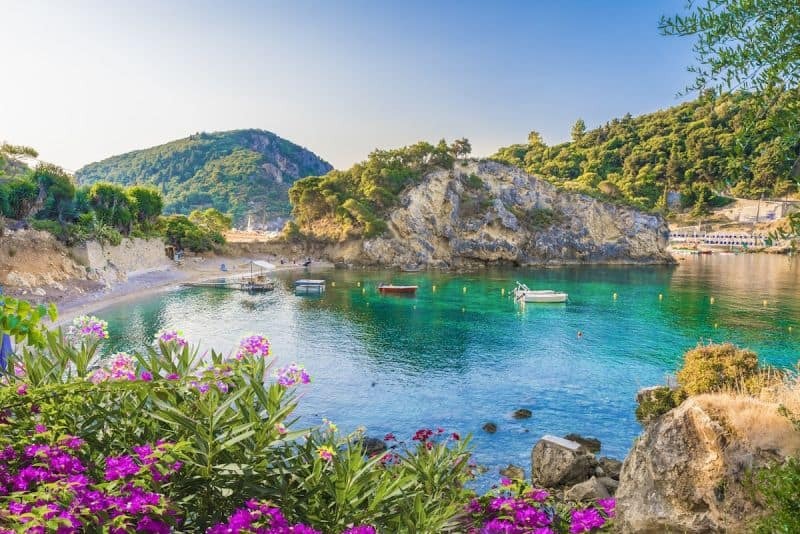 When you’re ready to get away from it all, head to the north of the rest of this lush island which is endowed with glistening emerald bays and hidden coves.